With standard leather interior and smartphone compatibility, the 2019 Audi Q5 is ace in base. We’re constantly reminded how wrong we are, and it only took 20 years and thousands of luxury crossovers on the road to do it. Luxury compact crossovers like the 2019 Audi Q5 are automotive smartphones now: they do it all, store it all, and are seemingly everywhere. Sedans are cool like pagers. Like last year, the Q5 is available in Premium, Premium Plus, and Prestige trim levels. Same for the SQ5, which gets a base Premium trim for the first time. Base models cost about $44,000. Not much has changed from last year aside from standard heated seats and a 7.0-inch digital display that’s standard in every Q5. We could say the same about the exterior, except it hasn’t changed much in this decade. Despite being new last year, the 2019 Audi Q5 looks similar to models five years old or older. Restraint can be a good thing, though some of the Q5's rivals make major plays for attention with extravagant exterior style. Ditto for the interior, which is just as clean-cut as the exterior. Leather hides are standard on all trim levels, some competitors use synthetic materials on their base versions. The standard powertrain is a 2.0-liter turbo-4 that makes 252 horsepower mated to a 7-speed dual-clutch transmission and all-wheel drive. The trio is competent and brisk, we like its soft ride and effortless pickup. The SQ5 burns hotter with a turbocharged V-6 that makes 354 hp and dashes up to 60 mph in 5.1 seconds. 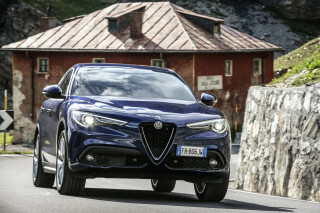 Its teamed to an 8-speed automatic and all-wheel drive instead. The Q5 is comfortable for four adults with just about any body type—five if you’re feeling familiar. The cargo space is impressive, with more than 25 cubic feet of room to swallow multiple suitcases or bags. In every Q5, Audi fits low-speed automatic emergency braking, clear outward vision, and good crash-test scores. Top trims get advanced driver systems and active safety features that make it among the safest crossovers on sale today. Every version gets leather hides, 18-inch wheels, two USB ports, xenon headlights, power-adjustable front seats, a 7.0-inch digital instrument cluster, and a 7.0-inch screen for infotainment with Apple CarPlay and Android Auto compatibility. Top trims get a 12.3-inch digital instrument cluster and upgraded infotainment 8.3-inch screen. The 2019 Q5 is handsome, but also very familiar by now. The Audi Q5 leads the class for room service and early bedtimes. Despite being new last year, the Q5 is largely indistinguishable from the prior generation. This version is a little sharper on the corners, the nose is a little longer, and the grille is a little bigger, but it’s largely conservative. The interior is straight-shooting us like Judge Judy. We have our picks for the exterior color we’d most prefer in our driveway: dark green seemingly never goes out of style. Compared to the GLC Class or even the BMW X3, the Audi Q5 is a starched shirt and khakis. Clean, but also same. The SQ5 sports its own small cues to separate from the Q5, including a lower ride height, bigger wheels and different trim, but it’s hardly worlds apart. The interior is a little smarter in the Q5 with a logical layout for controls and infotainment. A large touchpad near the shifter handles input duties—no touchscreen in the Q5. Higher-spec versions get a digital instrument cluster that heaps on tech, but it’s not overwhelming. Every version of the Q5 is equipped with leather seats. We’d opt for brown hides to lighten up the interior a little—and it goes better with dark green, after all. The 2019 Audi Q5’s turbo-4 and all-wheel drive are impressive in their performance and efficiency. The 2019 Audi Q5 makes the most of its turbo-4 and all-wheel-drive powertrain. It’s a familiar tune for Audi, which has sold some derivation of the same idea for decades. In the new Q5 that powertrain is tuned more for comfort, but speed is easy to find in the SQ5. The Q5’s sole engine is a 2.0-liter turbo-4 that makes 252 hp and 273 pound-feet of torque. It’s paired to a 7-speed dual-clutch transmission and all-wheel drive, an evolved version of Audi’s famed quattro system. The duo launches the relatively heavy Q5 to 60 mph in less than six seconds—no easy feat. 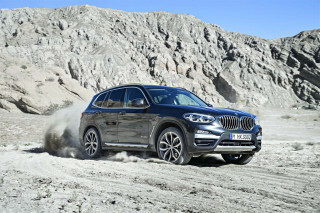 The Q5 most recently was overhauled last year and borrowed a stiffer structure from the A4 for the crossover’s bones. Riding atop the 18-inch standard wheels—or even the 20-inchers on top trims—is a drama-free affair. The Q5 is quiet, calm, and comfortable, regardless of road condition. Credit equally goes to the supple five-link front and rear suspension that soaks in road imperfections and to the stiffer chassis that gave engineers a more solid platform from which to dial in its creamy ride. Audi’s all-wheel-drive system now can fully disconnect the rear axle for better efficiency or hook up the rears for a sportier drive. Called quattro ultra, the new system works imperceptibly in the background, shuttling power among all four wheels for better grip or to carve a tighter line. We’ve driven it now through snow, ice, washboard roads, and dirt without a complaint. Although we don’t have any complaints with the base powertrain, we admit there are plenty among us who prefer their crossovers more potent than cowboy coffee: The Audi SQ5’s V-6, 8-speed automatic, and all-wheel-drive traction were all born to run. The turbocharged V-6 makes 354 hp and 369 lb-ft. The engine and 8-speed launch the SQ5 up to 60 mph nearly a second faster than the base Q5, which isn’t where the extra $8,000 goes. Instead, the SQ5 hunkers down more than an inch and hugs the road with sports car aplomb, its grip is hardly believable. An available rear differential can redirect power to the outside wheel for an even tighter line—be careful of spirited school runs with open cartons of milk in the back. Top trims of the SQ5 sport 21-inch wheels that feel a little too flinty for us, we’d stick with the 20-inch wheels that are just as handsome in the wheel wells. The 2019 Audi Q5 is comfortable and luxurious in any trim level. 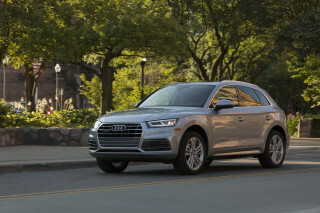 Luxury compact crossovers like the 2019 Audi Q5 are among the most popular cars on the road today. It’s not hard to see why. Even base versions of the Q5 feature leather upholstery; heated, power-adjustable front seats; good space for adults and gear, and comfortable seats. Premium Plus and Prestige trim levels get standard sport seats that are supportive and all-day comfortable. Premium versions get standard seats that have less bolstering but are similarly cozy, no complaints there. We’d opt for the front seats but wouldn’t begrudge sitting in the back either. The rear seats offer nearly 38 inches of rear seat leg room that are comfortable for two adults. 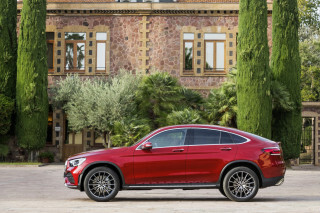 Like other crossovers in its class, we’d hesitate to put three adults back there for long—unless they’re in-laws. Behind the second row of seats, the Q5 offers 26.8 cubic feet of cargo room, which is made better by a low load floor. With the second row tumbled forward—but not completely flat, unfortunately—the cargo area expands to more than 60 cubic feet. It’s enough for most of the shopping we could throw at the Q5. In all trim levels, including SQ5, Audi scatters luxury materials that are handsome including wood grain, soft leathers, and matte finishes—some are even reasonably affordable. The Audi Q5 earns top scores for its good crash-test scores and outward vision. Federal and independent testers give the Audi Q5 good marks for its crashworthiness. The feds give it a five-star overall rating, including a four-star score for rollover safety, and the IIHS called it a Top Safety Pick. Outward vision in the Q5 is better than in some competitors thanks to thin roof pillars, a low dashboard, and rear seats that don’t obstruct rearward glances. 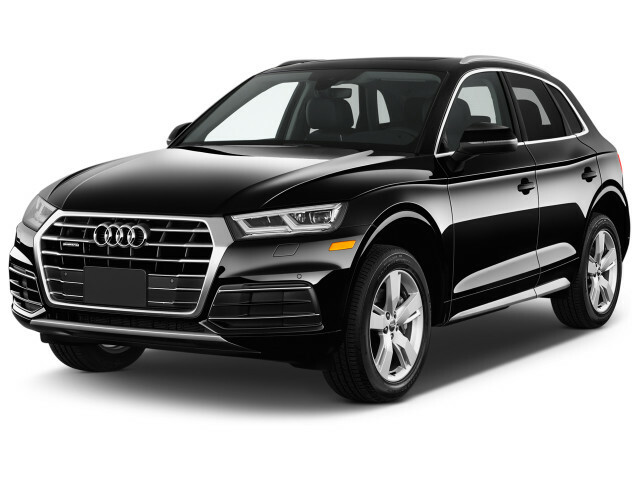 Aside from federally mandated belts and bags, the Q5 is equipped with low-speed automatic emergency braking that can avoid, or mitigate, forward collisions. The IIHS rated the system as “Advanced” and noted that the basic system avoided a crash at 12 mph and slowed the car by 21 mph in the 25-mph forward crash test. The optional system avoided the higher-speed crash altogether. A spend-up package adds a suite of advanced safety features that can help keep the Q5 centered in its lane for short distances without driver input and follow cars to a halt in heavy, stop-and-go traffic. Audi’s system is better than others we’ve tested, its lane centering keeps it from pinballing between the lines. The 2019 Audi Q5 offers bleeding-edge tech among compact crossovers. 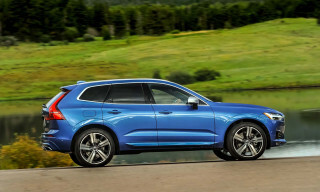 The 2019 Audi Q5 costs nearly $44,000 to start and vaults past $62,000 for a fully loaded SQ5. It’s a wide span for a crossover that features an impressive array of optional features. We’re more interested in what’s standard; even at $44,000, it makes a case as a value among luxury crossovers. Base models include leather upholstery, 18-inch wheels, two USB ports, xenon headlights, power-adjustable front seats, a 7.0-inch digital instrument cluster, low-speed automatic emergency braking, and a 7.0-inch screen for infotainment with Apple CarPlay and Android Auto compatibility. Audi offers the Q5 and SQ5 in Premium, Premium Plus, and Prestige trim levels. The SQ5 Premium is a first for Audi this year. We wouldn’t fuss with the Premium level’s base equipment; we couldn’t ask for much more. But if we did, we’d hardly argue with the Premium Plus trim level, which Audi says is more popular with Q5 buyers. The Premium Plus trim level adds an 8.3-inch infotainment screen with navigation, two more USB charge ports for rear-seat passengers, sport seats, keyless ignition, panoramic sunroof, real wood trim, blind-spot monitors, and wireless smartphone charger for more than $50,000. The Prestige trim level adds a 12.3-inch digital instrument cluster (Audi calls it “Virtual Cockpit”), 20-inch wheels, premium audio from Bang & Olufsen, and available adaptive dampers. Options for the Q5 include a sport appearance package that adds 20-inch wheels, black trim accents, and roof rails. The trim levels for the SQ5 largely mirror the Q5, but adaptive dampers, sport seats, and bigger wheels are standard. A sport air suspension is available on the SQ5, too. The SQ5 costs at least $8,200 more than a comparable Q5. The 2019 Audi Q5 is relatively frugal with its turbo-4 and all-wheel drive. The 2019 Audi Q5 uses an advanced version of its all-wheel-drive system to hustle hard for better fuel efficiency. 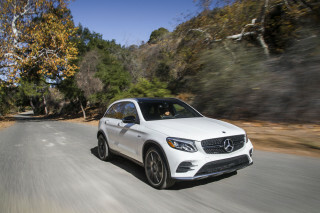 Other competitors such as Mercedes-Benz and BMW offer two-wheel-drive versions of their similarly sized compact crossover for better fuel economy. Those manage better numbers than the Q5, but not by a wide margin. The BMW X3 is rated 26 mpg combined in its most efficient version, the Mercedes GLC300 rates 24 mpg combined in its most efficient version without hybrid batteries. The higher-output SQ5 is rated 19/24/21 mpg, according to the EPA.